The U.are.U SDK for Windows is a bold step forward in fingerprint biometric application development. With a synchronous API, this SDK fully embraces image, template and compression standards. In addition, the DigitalPersona FingerJet biometric engine features a MINEX certified extractor. This provides developers with the flexibility to make unfettered choices of matching algorithms and the ability to comply with a growing customer requirement for standards support. The U.are.U SDK for Windows includes a fully distributable, royalty-free FingerJet matching engine, sample code and a detailed developer’s guide. The U.are.U SDK for Windows is fully compatible with U.are.U Fingerprint Readers, Sensors and Keyboard. 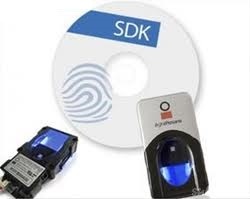 The U.are.U Developer Kit contains everything a developer needs to start using our optical fingerprint biometrics, including the U.are.U 4500 and U.are.U 5160 readers, all the U.are.U SDKs, a Best Practices Guide, documentation, and free membership to the Crossmatch Developer WebPortal. The U.are.U SDKs are only available to customers who purchase the U.are.U Developer Kit.